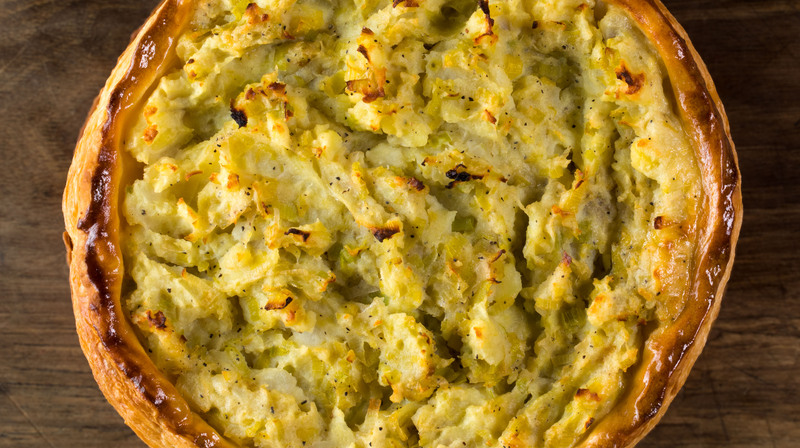 The best vegetarian dishes are normally ones that will be made worse with the addition of meat- this smoky, comforting tart is exactly that sort of dish! It’s quick and easy enough for a midweek dinner, but delicious enough to form part of a special occasion meal too! And any pastry in a WFO is a true thing of beauty! Peel and chop the artichokes and potatoes so they are all round about the same size and put in a pan. Pop the pan under the cold tap and leave it running for a few minutes to wash off the starch. Add some salt, and put on to bring to the boil and cook for around 10-15 minutes. Drain off and leave to dry thoroughly before roughly mashing, and folding in one of the egg yolks. In the meantime, sweat the chopped leeks off in a little oil until soft and add them to the mix. Check the seasoning and set to one side. 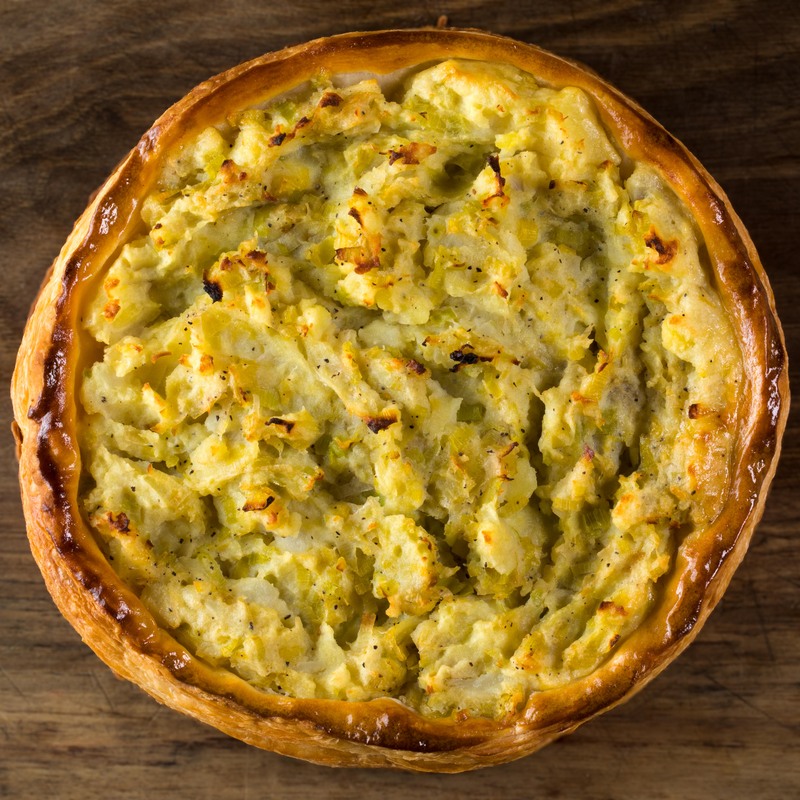 Roll the puff pastry out to form the discs and spoon on the leek, potato and artichoke mix leaving 1-2cm ring around the outside. Use the remaining egg yolks to brush the outer rim and pop the tarts on a tray. Cook in the oven for around 25 minutes depending on the heat. They’re done when the pastry is beautifully coloured and the top of the mixture is beginning to colour in places.